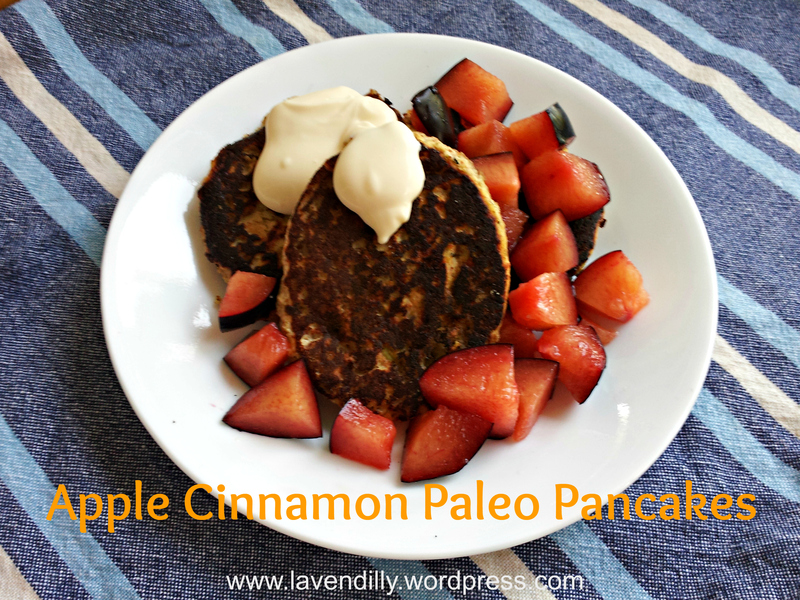 I really love the taste of paleo pancakes but I’m not really fond of cooked banana, and after I eat a paleo pancake I find myself reacting to the almond meal. One of the draw-backs to going grain-free is the increase in the amount of nuts that are eaten – and now I find myself sensitive to those too. I do eat spelt flour pancakes when the family occasionally make them at home, which is not grain-free at all, but then I do find myself with indigestion for a few hours afterwards. Sometimes its a sacrifice I’m willing to make! It’s really tricky to find the balance, and every now and then I want a breakfast that is simple and fun! Grind the pepitas and almonds into a fine meal. Add the chopped and peeled apples and pulp them in the blender with the almonds. Add remaining ingredients and blend until smooth. Heat up a skillet and once hot, turn down to a medium heat. Add a little butter or coconut oil, adding spoonfuls of the mixture and dabbing it gently to spread it out. The mixture cooks quickly (burns!) on the bottom if the pan is too hot. Flip and cook the other side. Serve as you like to have your pancakes – we like ours with fresh fruit, homemade yogurt, and cooked blueberries.